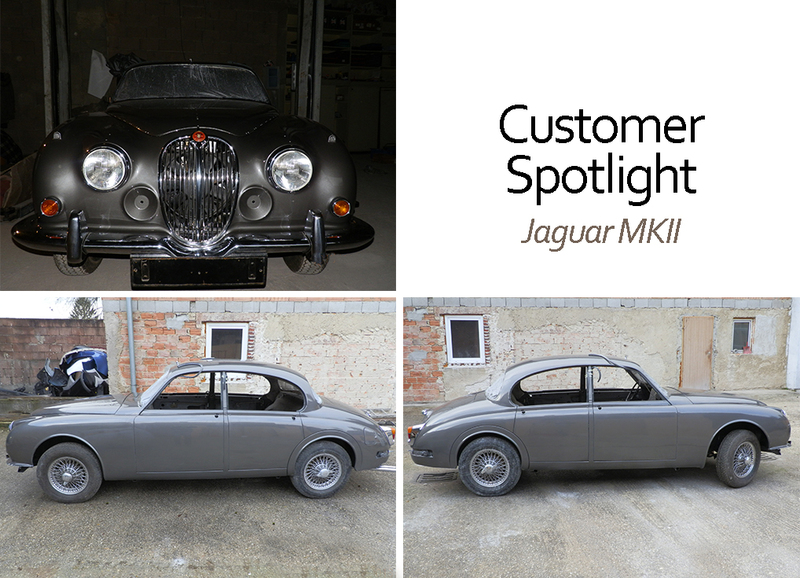 It has been a month since we updated on the progress of the Jaguar MKII Restoration project from our friend in Austria. And what a transformation in that time! Our customer, Mike who has restored this Jaguar MKII from David Manners Group parts has now taken the car outside for the first time since the restoration began. The paintwork has now been completed ready for the interior to be fitted in the coming weeks. Keep following for more information on this project.